After writing and performing with numerous acoustic, indie, rock and folk outfits in Melbourne’s local scene, Byron brings his DIY attitude to his solo written songs . But he’s rarely alone; friends and family help perform this blend of unrefined, melodic music. Byron Siren brings meaningful songwriting together with eclectic and sometimes nostalgic sounds of indie, rock and modern folk. 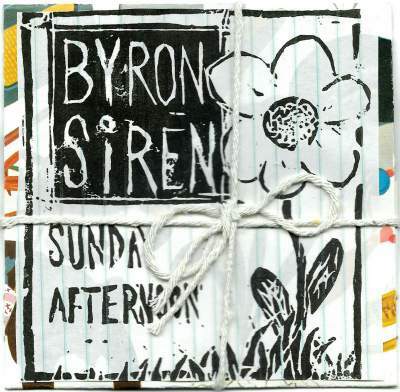 Byron here – Melbourne, Australia based singer-songwriter performing original songs under the name Byron Siren. I have a brand new EP & I’d love the opportunity to have my music played, reviewed, featured (or any other plug you can give). The EP is called Sunday Afternoon (also the name of the opening track). The EP will be released online, track by track, throughout the year. Let me know if I can send you mp3s, CD copy or other file format.